To be honest with you, for me, there is nothing I would rather make or wear than a dress! When I bought this spot-print fabric I only bought one meter (intending to make a gathered skirt) Usually I over-buy so that was unusual for me. Later I really regret only buying 1 meter of it because looking at it when I got home I thought It would make a great dress. I am so happy to have found a pattern that has a fuller/non-fitted skirt (more comfortable for everyday) but does not use very much fabric (LOVE THAT!) 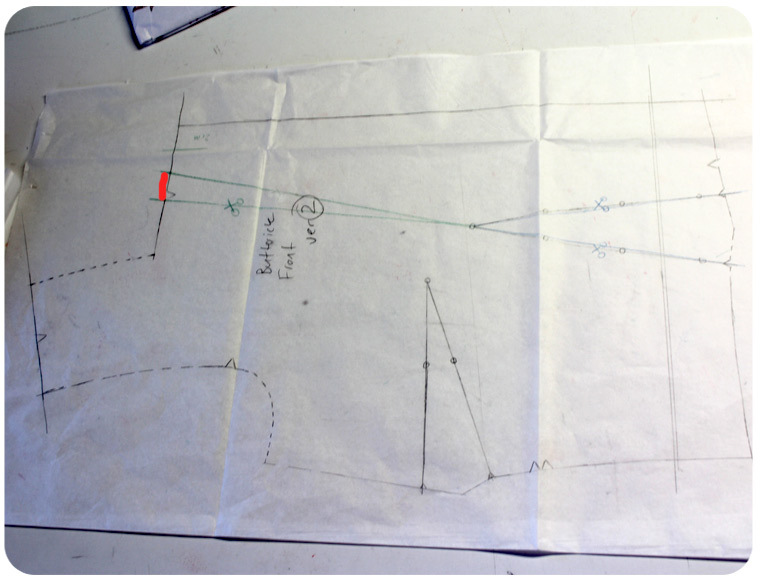 This pattern in size 10 it only requires 1.15 meters of 115 cm wide fabric or using 150 cm wide fabric only 1 meter (I think that is only just over a yard). YES! 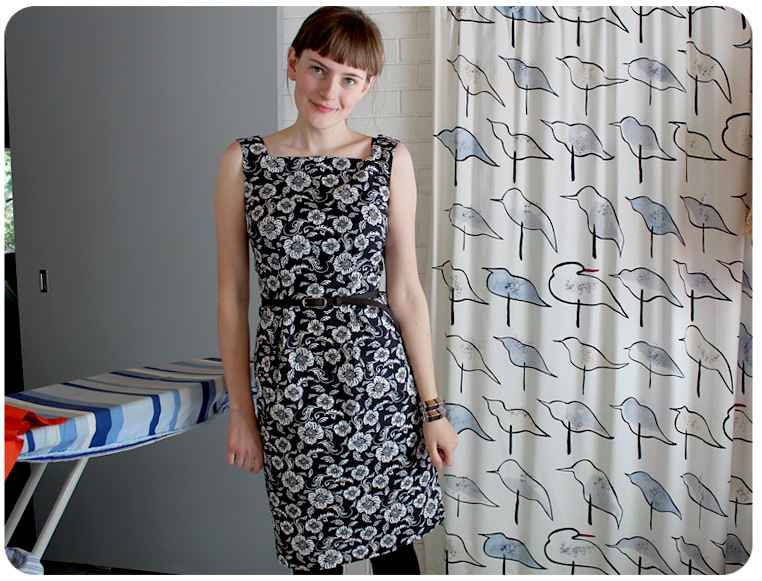 I could make a dress in this fabric after all. 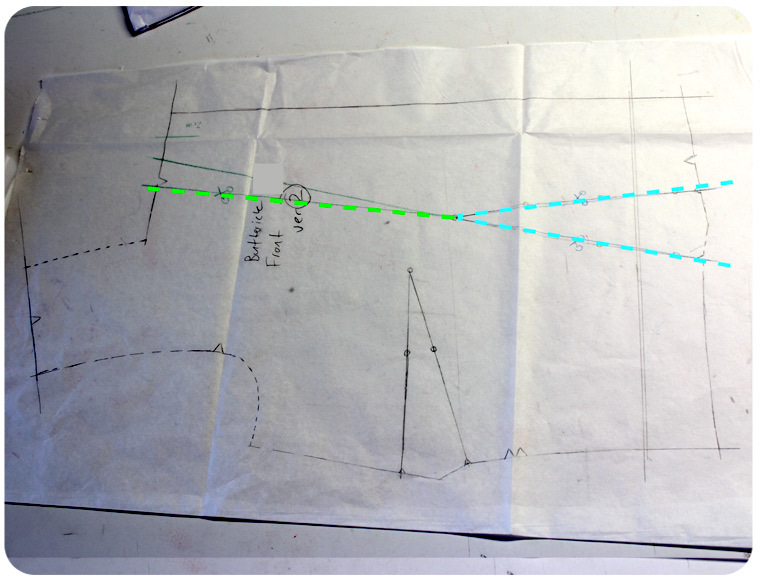 Sometimes it is important to look at the line drawing and look past the totally UNCUTE way they style things on pattern envelopes (sun dress with a bowling shirt anyone?)! 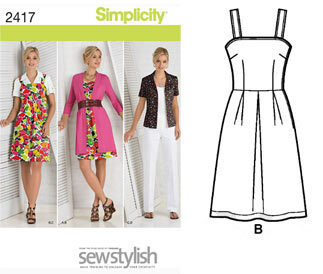 I only bought this pattern for the dress but there are other separates with this pattern (not really feeling any of the others). 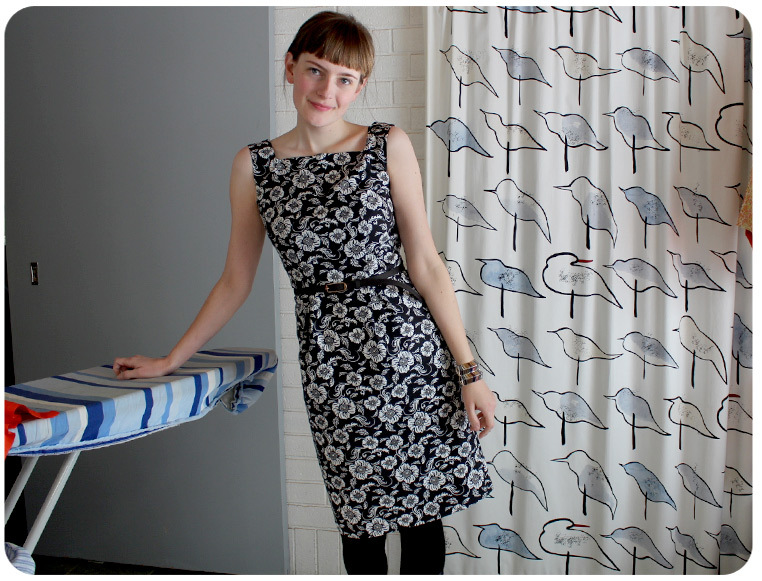 I really loved Emily’s (from Sew Many Happies) version of this dress. 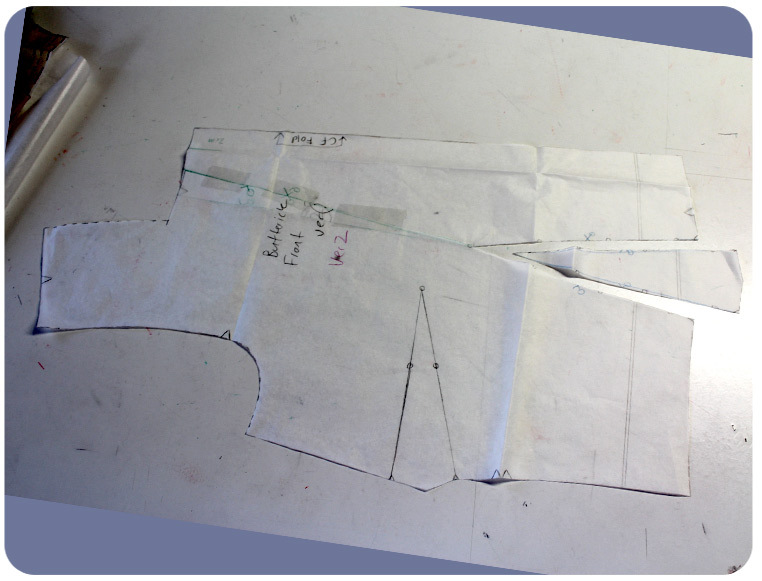 I think its what really motivated me to try this pattern out! This pattern is so quick to make. Aside from getting the straps the right length. 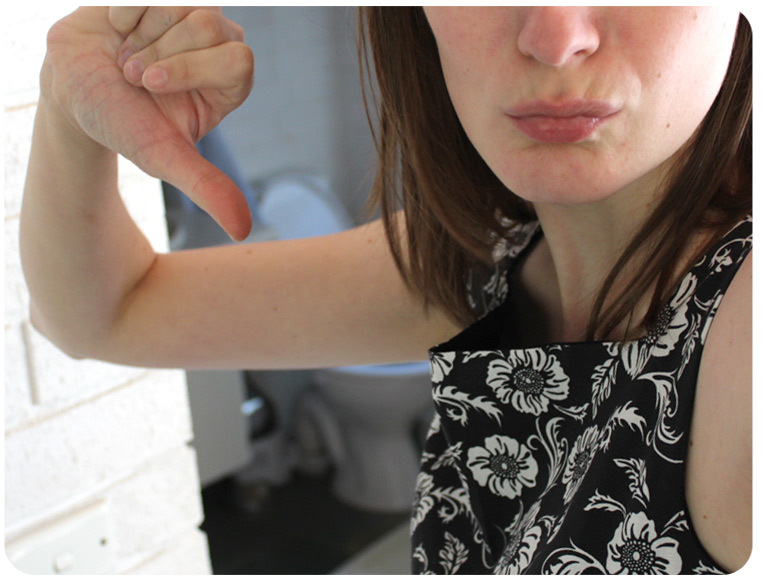 I am a little asymmetrical at the shoulders so this is always a nightmare for me! I lost count of how many times I unpicked the straps to readjust them and after sewing the lining to the dress one of the straps is STILL not quite right (it gapes slightly) but this is where I tell my inner perfectionist to shut the hell up, put on the dress, enjoy it and carry on with my life! Another discovery is that my waist is very big in relation to my hip size/build. 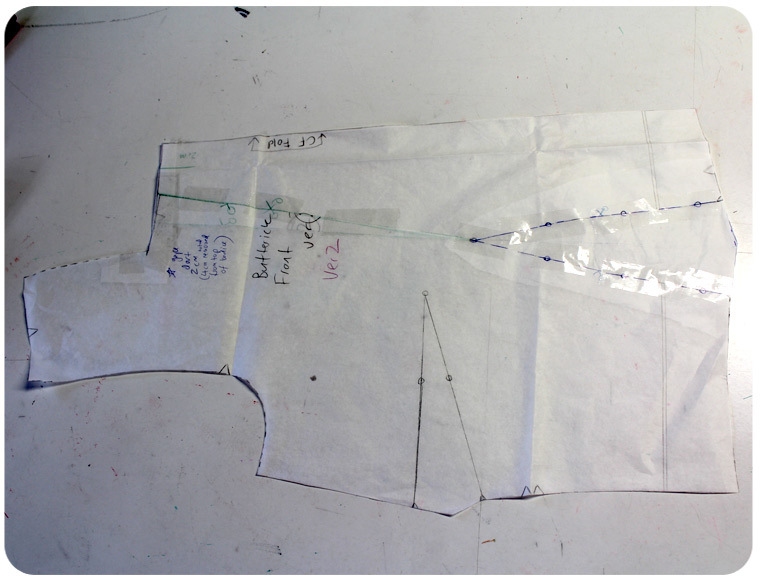 When working with patterns in future I am just going to automatically add 6mm just at the waist. What can I say? I love my chocolate ;). 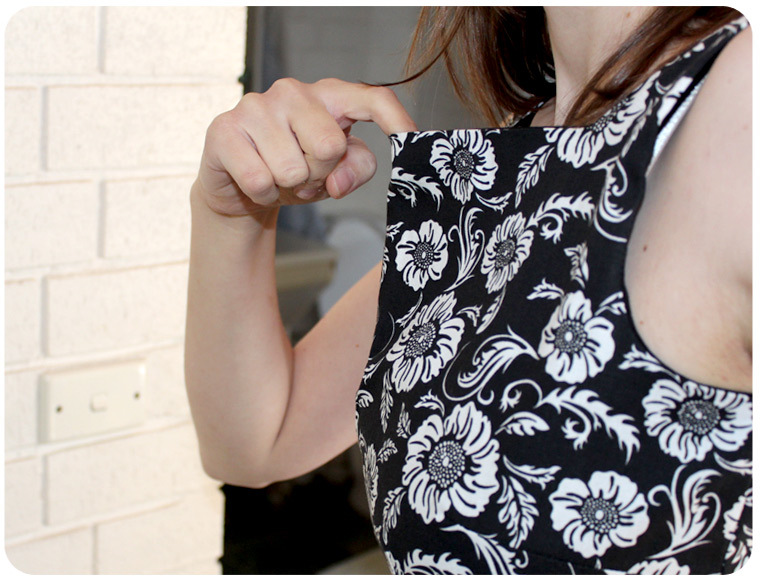 I feel like this sun dress looks a little bit like Hazel by Colette Patterns but with a longer waistline and thicker straps. Paunnet made a gorgeous version of the Hazel. I just love sun dresses! I know I am slightly crazy making them throughout winter, I am wearing this one today with a cardigan and I will be adding a scarf and cropped trench coat when I go outside. I will definitely be using this pattern again. 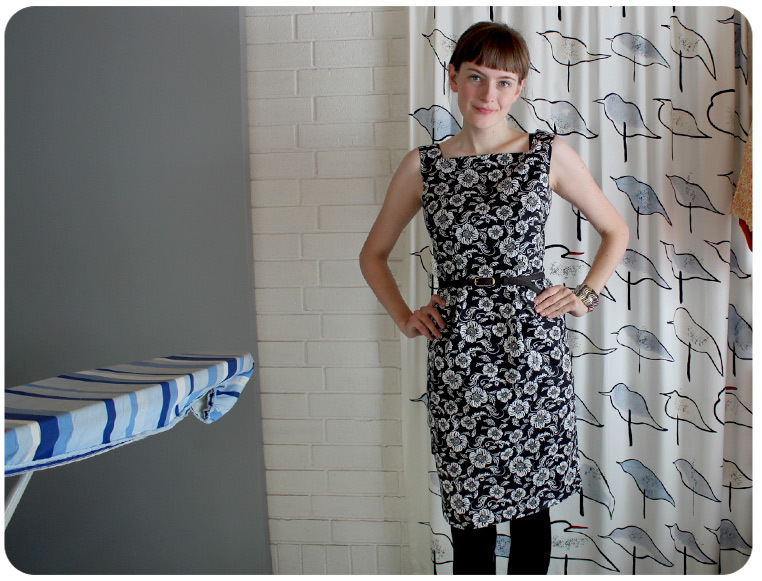 Like I said I love a dress pattern that is cute but doesn’t use a lot of fabric, because I am on a tight budget. I know I said it was a wearable muslin but I ended up liking it a fair bit. I just love the square neckline. Also I know it’s yet another floral dress, but what can I say I love them. 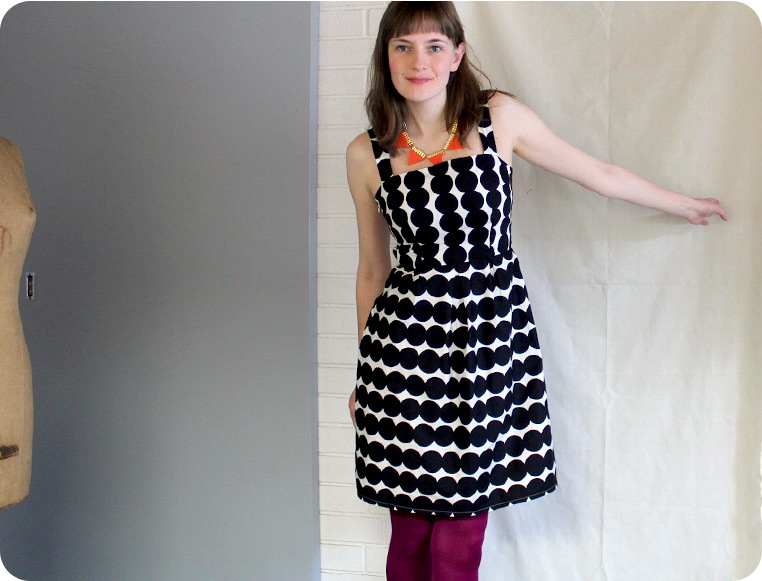 I am wearing this dress today but I have to wear it with a cardigan because it’s winter where I live. 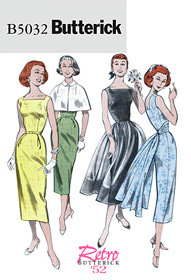 My next project will be a woolen skirt! First winter appropriate thing I have made this year (I am much more of a warm weather person). Loving the way the dress feels with the underlined skirt. 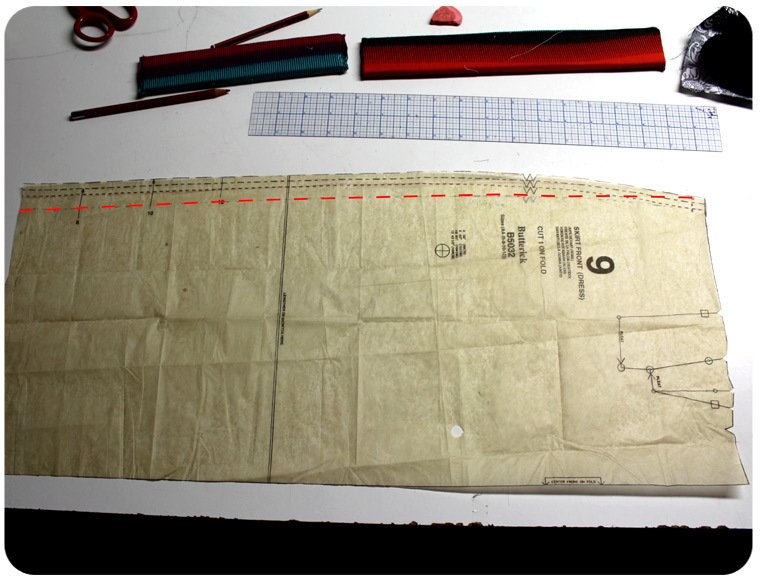 I have so many cotton fabrics that are slightly too thin (on there own) for a fitted skirt but with a layer of underlining the skirt becomes a lot more durable and crease resistant. 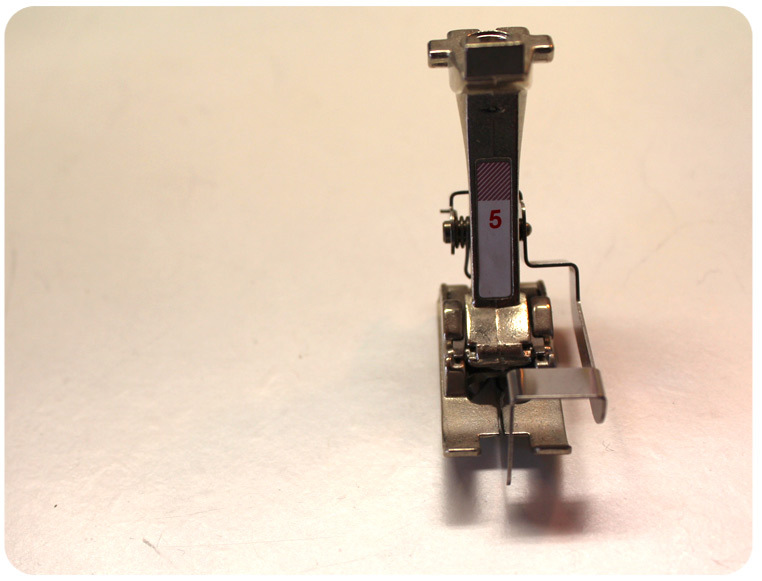 I have started adding all my sewing patterns to springpad. 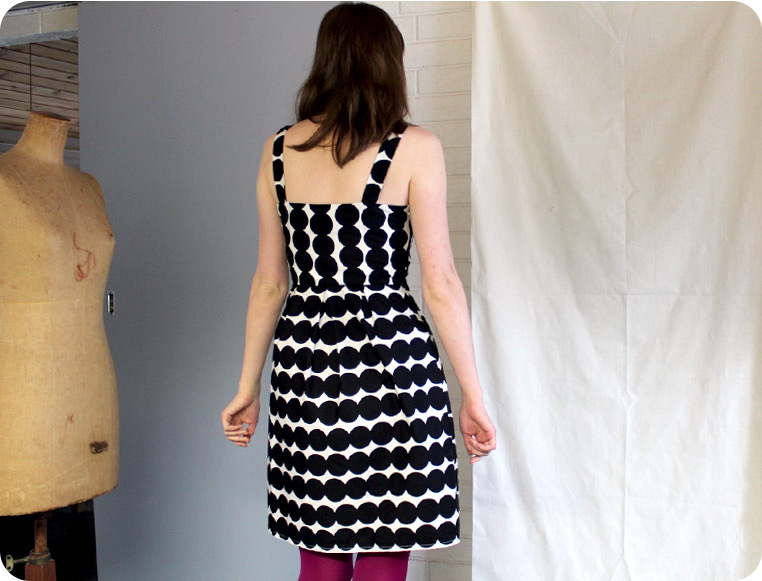 The goal is to have an archive of all the patterns I have. That way I have access to it when I am out (on my phone and galaxy tab). 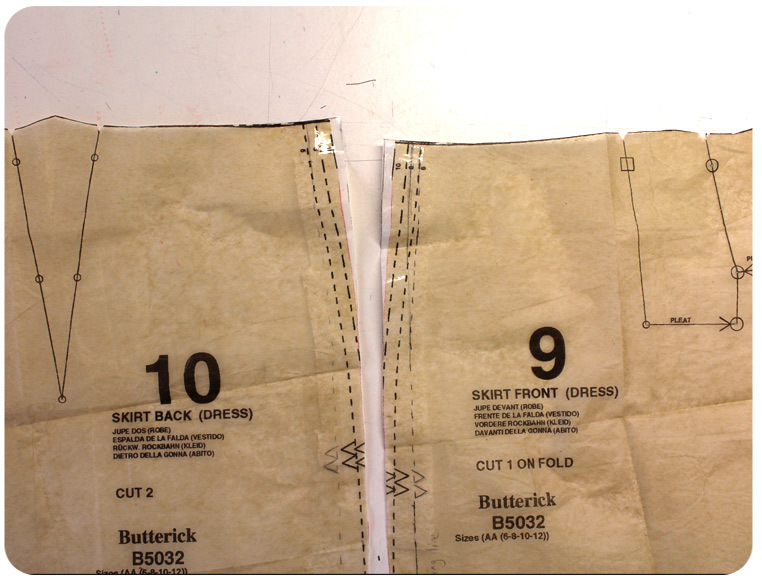 Its a pretty nifty way to browse your patterns and I good way to check sewing notes related to each pattern as well as fabric requirements for each project. 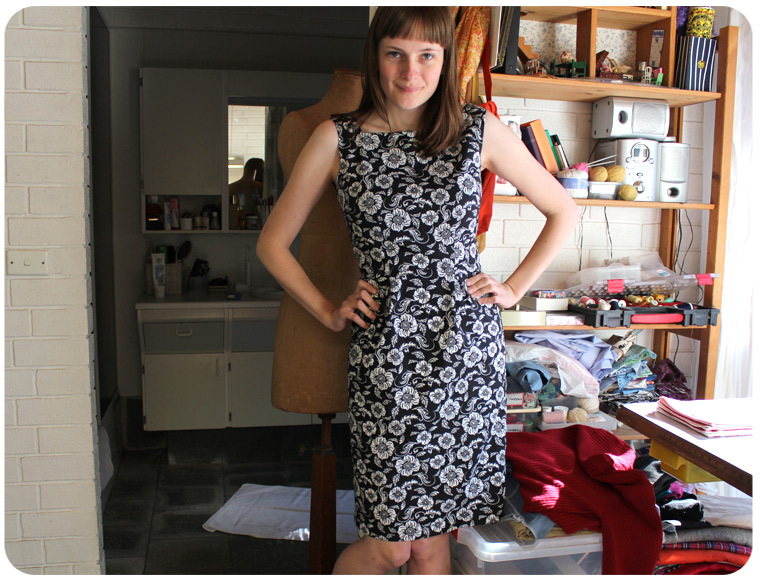 I will make this dress again, but with the amended neckline at some point. 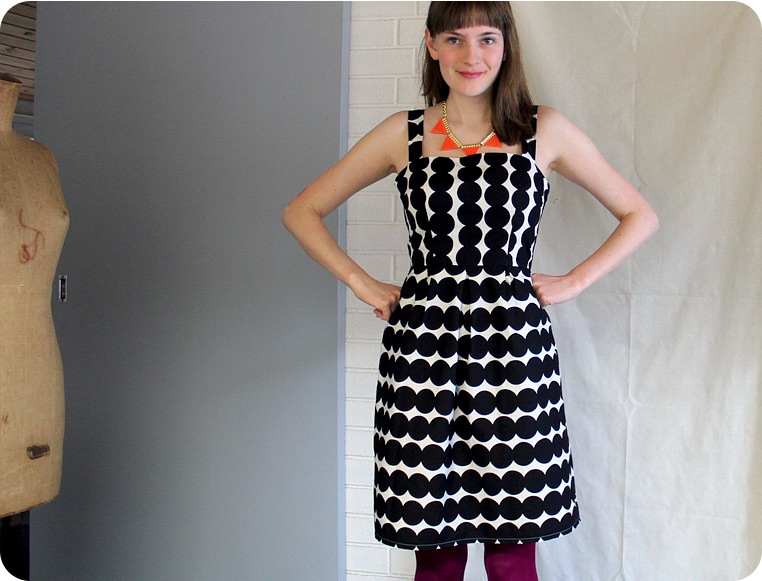 I can promise that the next 2 things I make will not be floral dresses but after the next 2 projects that who’s to say. I do love a floral dress or 20. I wanted to start posting some pictures of how I wear the pieces I have made. Just like Zoe does in her Me-made-may postsand Me-made-outfit of the week and Suzannah does in her fabulous How to wear DIY posts. 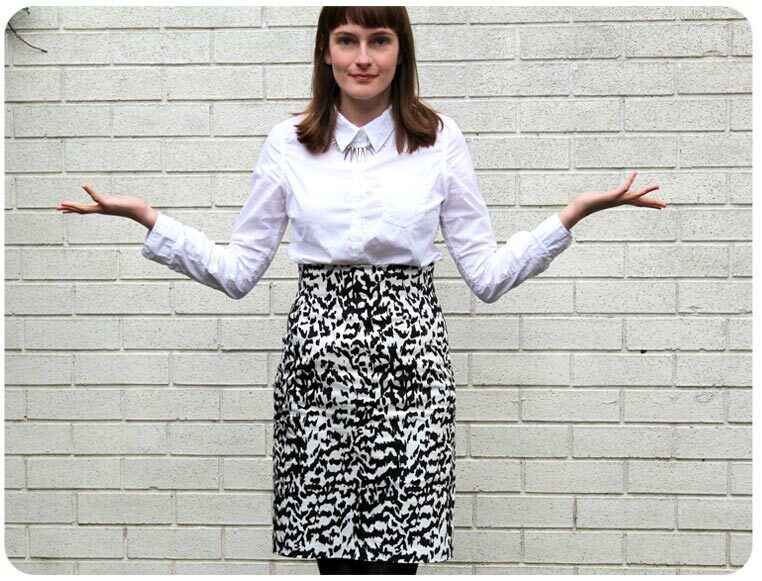 The me-made or handmade item I am wearing today is my wild-print pencil skirt using a pattern from Burdastyle Magazine (issue 2/2011 Style 107). 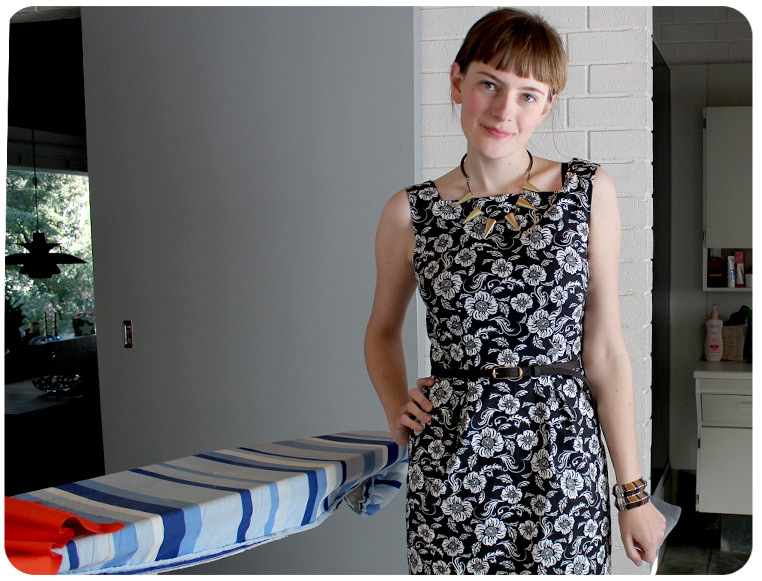 I originally blogged about the skirt here. I love this skirt. 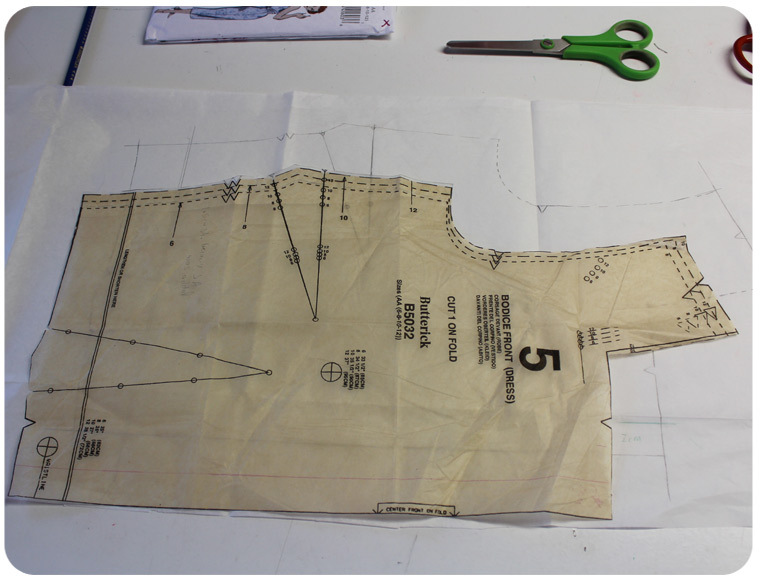 The pattern was a perfect fit and it didn’t require any alterations or fitting, but then I suppose the fact that the fabric has stretch helps too. 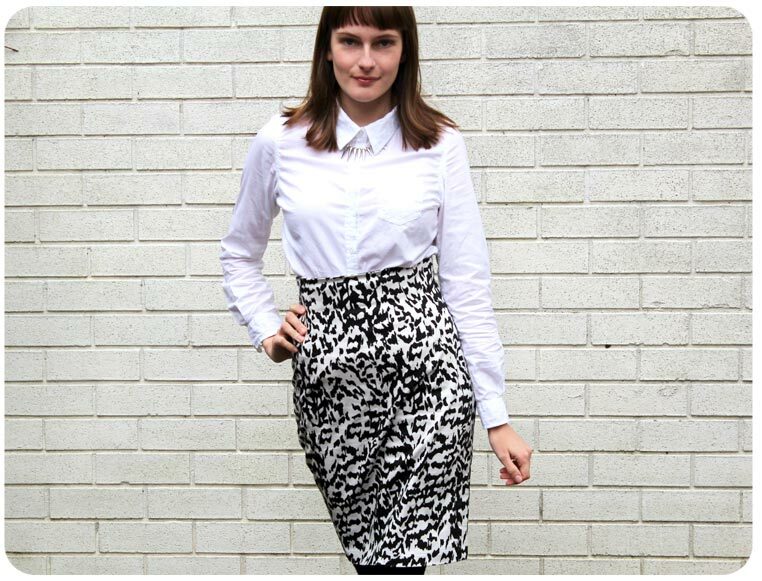 Pencil skirts are so flattering on tall girls and they also look awesome on a curvy hourglass shape :)! I am not actually going anywhere today but sometimes its fun to dress up ‘just because’. I have to wear a uniform at work (not fun!). But at home I have free reign. So if I had a creative job in an office this is what I would wear. Outfit notes: The white shirt is from cotton on and the spike necklace (which is kind of hand to see) was $3 on sale from a shop called Lovisa.